Nerf N-Strike Elite Demolisher 2-in-1 Blaster Just $34.47 Down From $60.41 At Walmart! You are here: Home / Great Deals / Nerf N-Strike Elite Demolisher 2-in-1 Blaster Just $34.47 Down From $60.41 At Walmart! 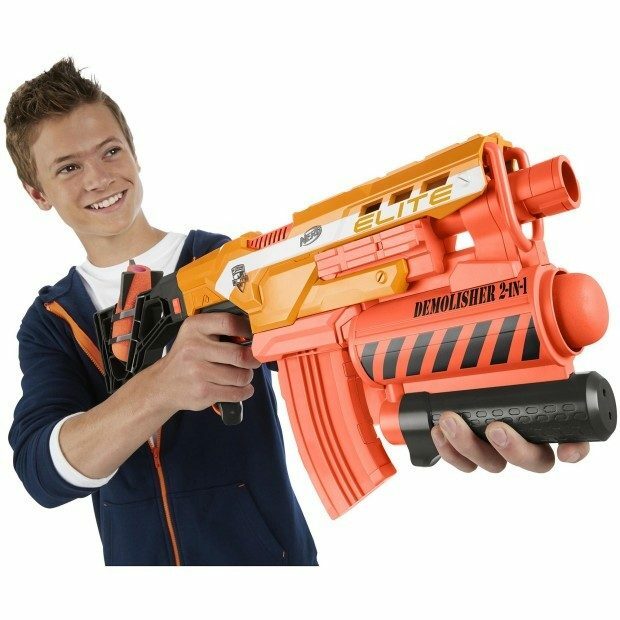 Right now you can get this fun Nerf N-Strike Elite Demolisher 2-in-1 Blaster for just $34.47 at Walmart! TO AVOID INJURY: Use only darts or missiles designed for this product. Do not modify darts, missiles, or dart/missile blaster.